I love this time of year, not only do you get to spend extra time with family and friends, but you also get an extra excuse to bake and craft! 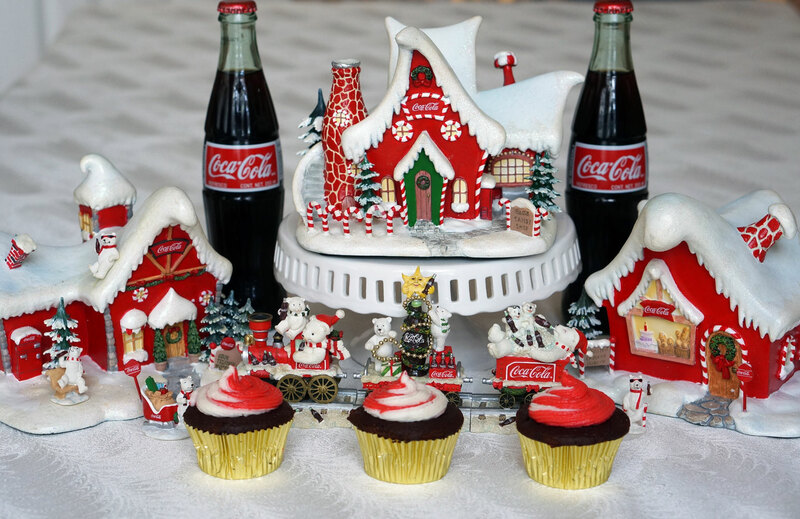 One of my favorite family traditions includes putting up a beautiful Coca-Cola Christmas village! Because of this, I knew I had to buy the classic glass Coca-Cola bottles when I saw them at Sam’s Club. As soon as I saw them I had a bunch of fun ideas for recipes and crafts. 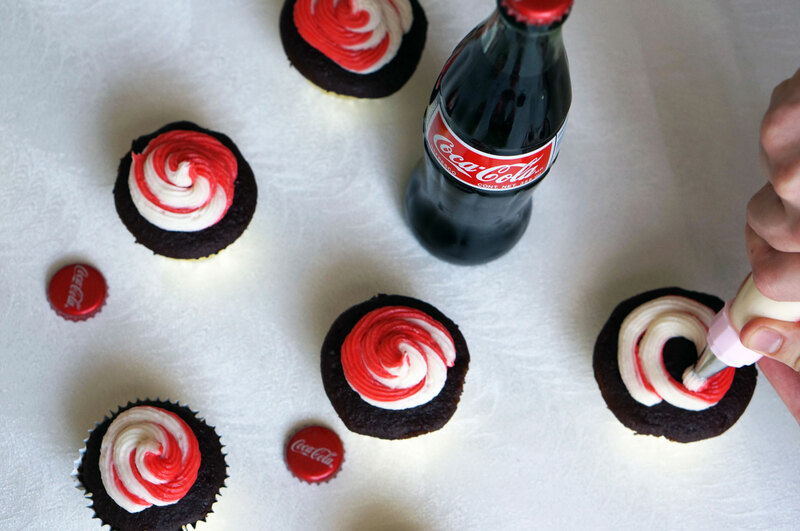 Today I am going to show you how to make super easy cupcakes using Coca-Cola, and how to repurpose the bottle to make an adorable DIY gift! 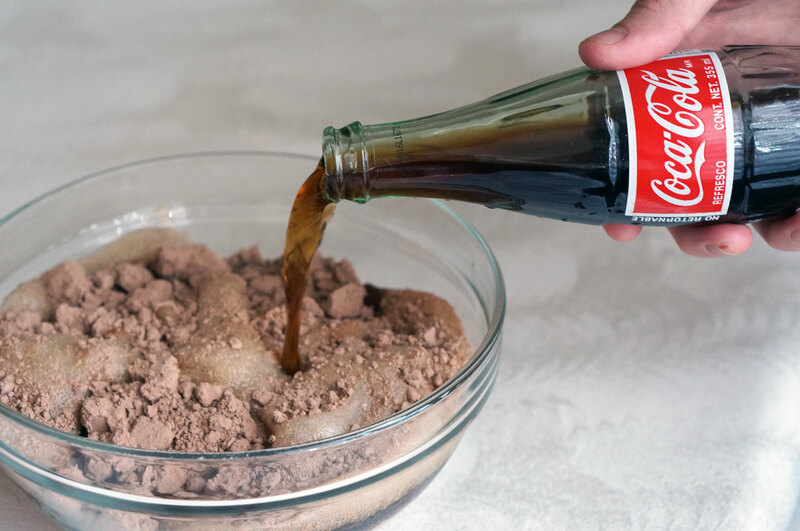 Mix 1 box of cake mix with 1 bottle of Coca-Cola (seriously, how easy is that). 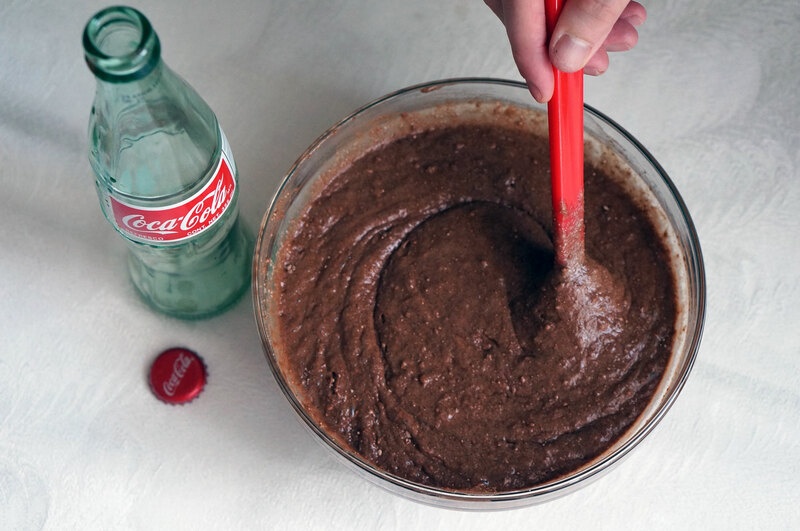 Mix together with a spoon to combine ingredients, then use a hand mixer for about 2 minutes. 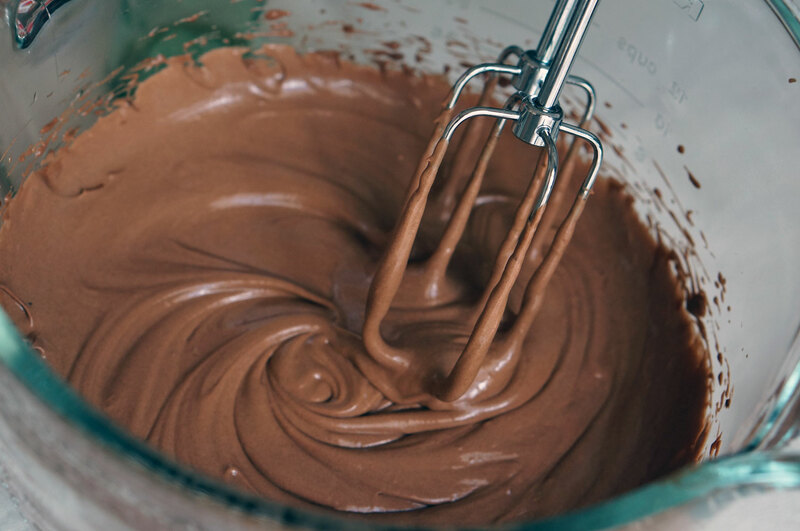 After mixing batter, pour into cupcake liners and bake at 350 degrees for about 16 – 18 minutes. 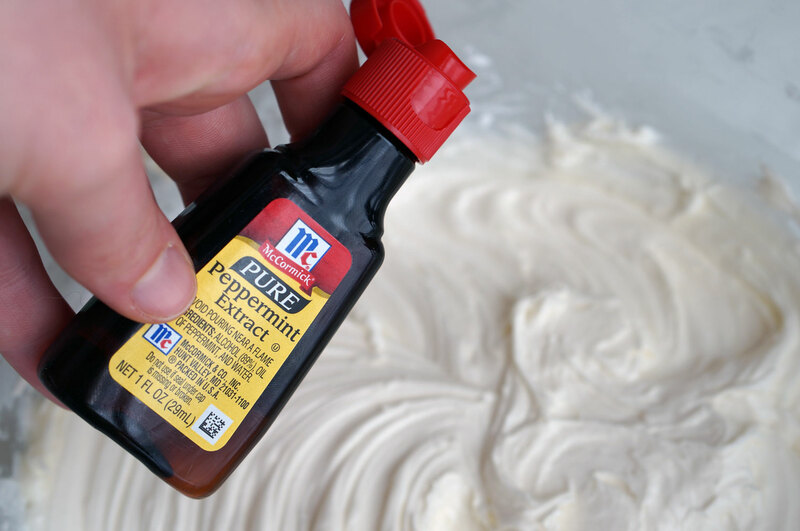 Add a teaspoon of peppermint extract to a batch of buttercream icing. Taste and add more if you want a stronger peppermint flavor. 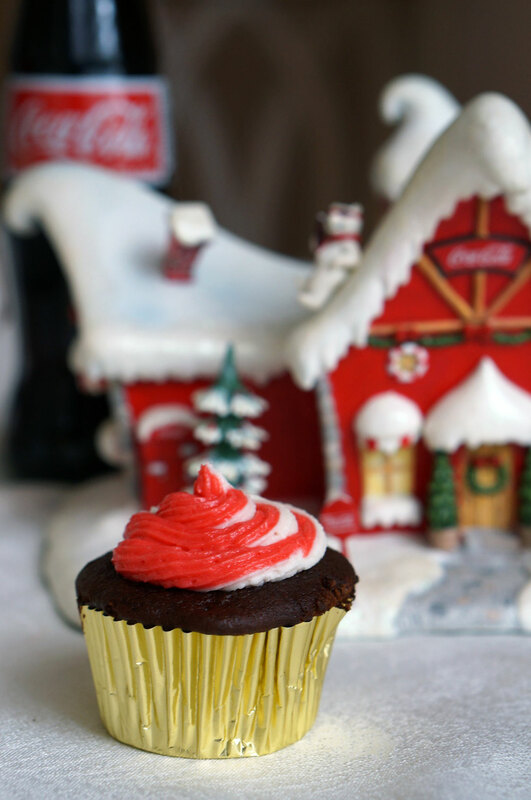 Divide icing into 2 containers and add red food dye to one of them. I find that the gel food dye works best. Next ice your cupcakes! 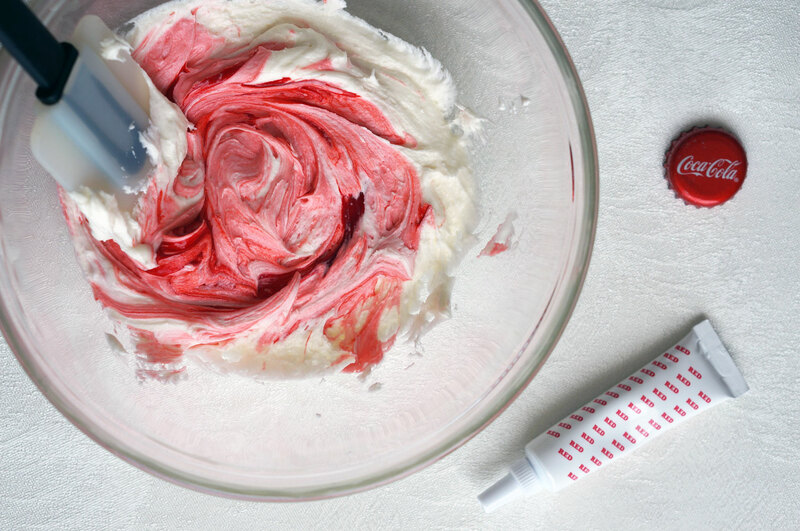 You can fill two icing bags, one with red and one with white, and then put them inside a 3rd icing bag connecting your icing tip, OR you can use the nifty icing bags that are actually made to swirl 2 colors together! 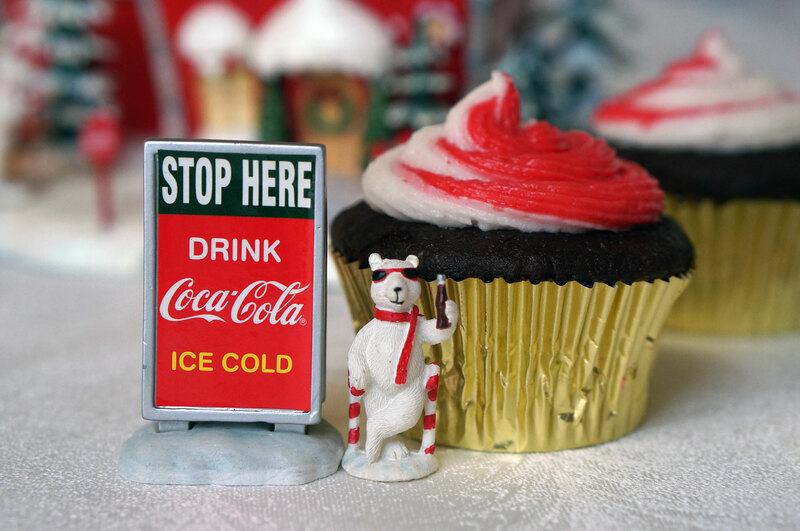 I had so much fun placing my Coca-Cola Cupcakes around my Christmas village, it looked so cute! 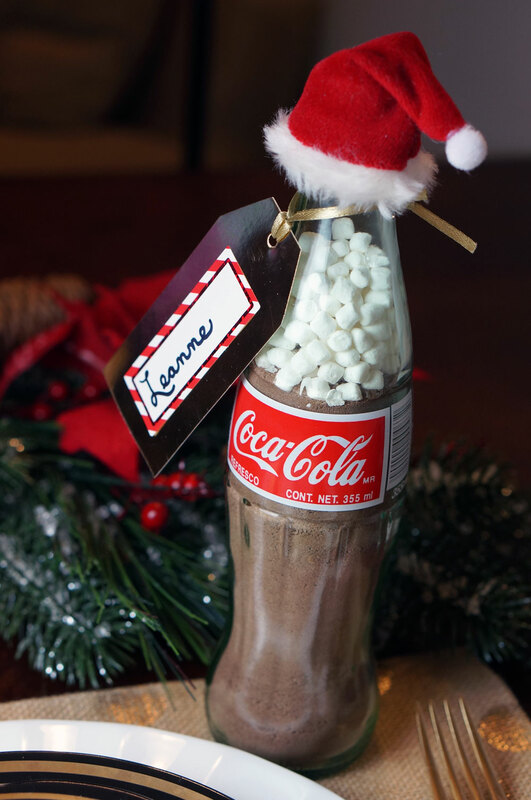 After making my cupcakes I knew that I wanted to repurpose the iconic glass bottle into an adorable DIY gift. I washed bottles and then used a hair dryer to ensure that they were completely dry. Next I filled the bottles with hot cocoa mix and mini marshmallows using a funnel. Then I pushed the bottle cap back on. It is super cute because it looks a little bit like soda and bubbles. I found tiny santa hats at the craft store, and they were too cute not to add! I loved how they turned out so much that I used them as nameplates for the dinner table. Not only are they a fun talking point, but they also look beautiful with the table setting. 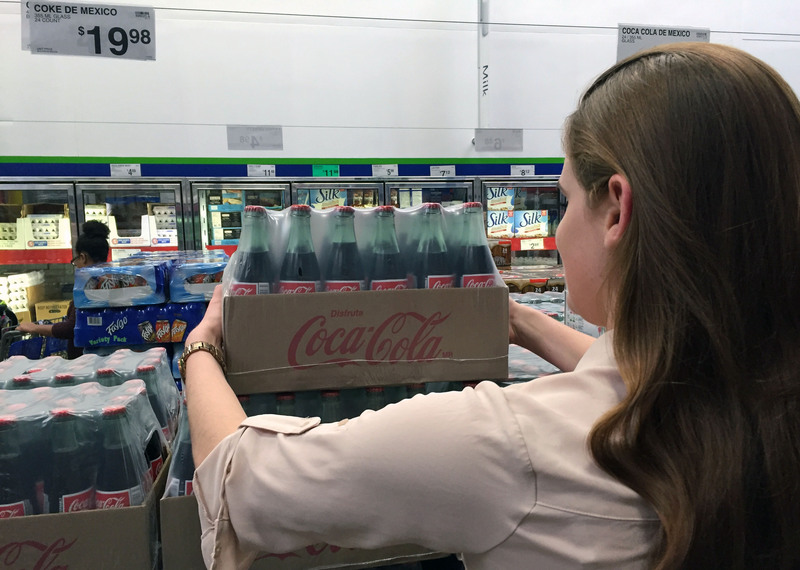 Remember that you can find these bottles of Coke de Mexico Coca-Cola and a deal on 4-pack, 2-liter Coke and Diet Coke at Sam’s Club, and if you try out this recipe or DIY project be sure to share a pic with me on my social channels! 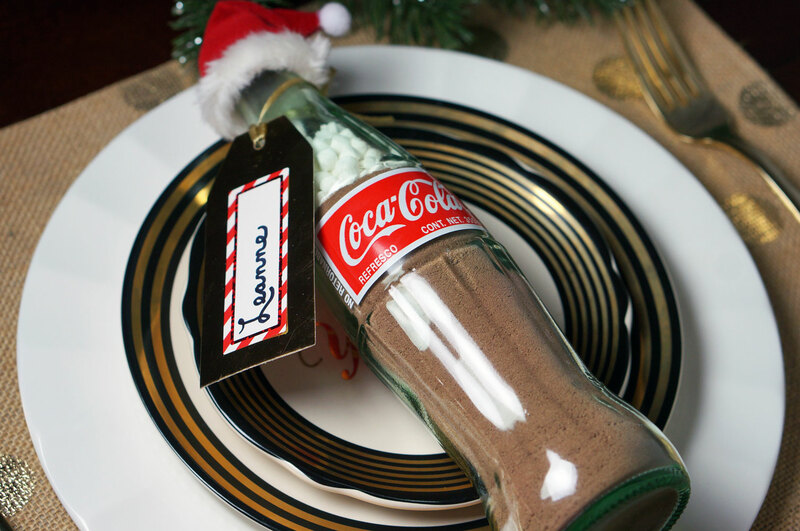 Creative, and such a throw back to see the old fashion Coke glass bottles!! Pictures and village are so festive! Loved it!